We manufacture and export Pneumatic Packing Machine Chute type With Augur which are used for packaging all kinds of powder items atta, maida, spices and many more. 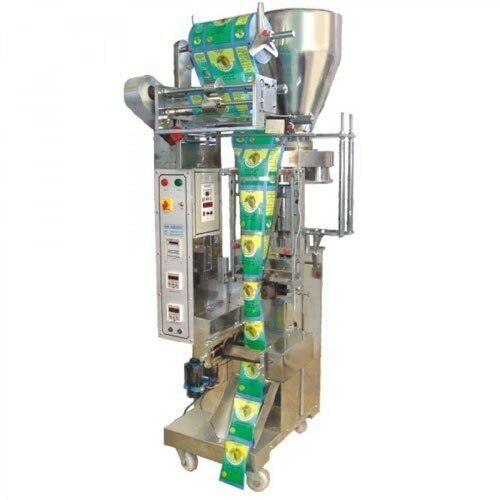 These machines are highly capable and can pack 30-50 pouches per minute, depending on the product quantity. Specifications: •	Power Supply :230V Single Phase. •	Power Consumption : 3 Kw •	Speed : Depends upon the product grams of packing •	Range : 5gm, 10gm, 25gm, 50gm, 100gm, 1000gm.